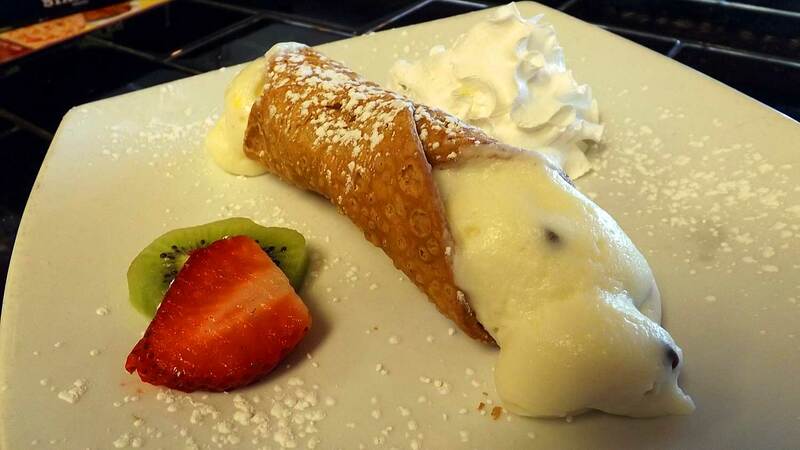 Mama's Pizza & Pasta Indian Land offers Authentic Italian Cuisine, featuring New York Style Pizza, Pasta, Calzones, Stromboli, Hero Sandwiches, Appetizers, Flatbreads, Salads, Soups, Seafood, Chicken, Veal, Sides, and a tempting array of Desserts. Our hand-tossed dough and sauce is made fresh daily! 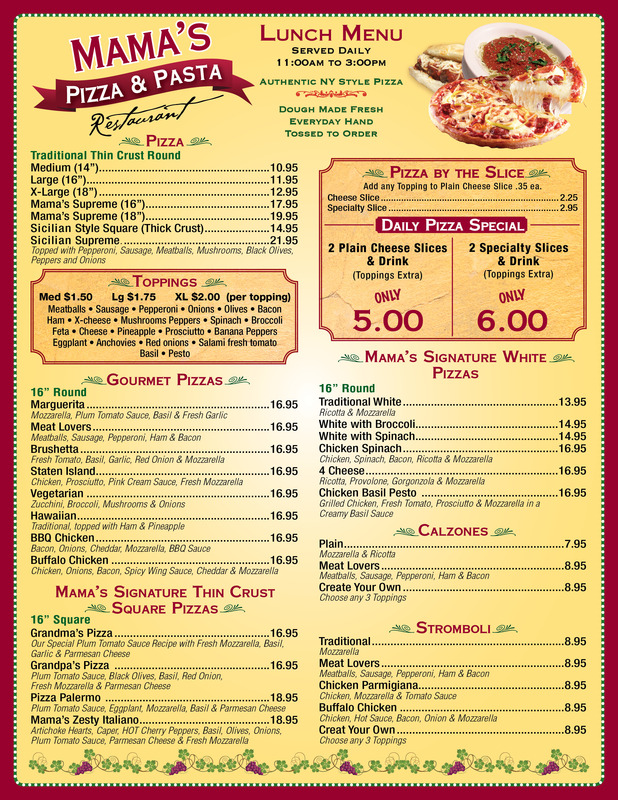 Mama's Daily Lunch Special: 2 slices of our New York Style Pizza and a Fountain Drink For ONLY $5 (Plain Cheese) or $6 (Specialty). We are located at 8356 Charlotte Hwy, Fort Mill, SC 29707. Phone:(803) 802-3336. We are closed Mondays, open from 11 AM to 10 PM on Tuesday - Saturday, & 11 AM - 9 PM on Sunday. Copyright 2016 Mama's Indian Land, 8356 Charlotte Hwy, Fort Mill, SC 29707 • (803) 802-3336 & Mike DeAngelis Strategic Marketing. All Rights Reserved.